"...a humorous look at life that will make you laugh, cry and then laugh again when you realise that Amy/Hazel has learnt to be a confident, happy and single (albeit slightly mad) woman." Mother to three lively kids and happily married to Arthur, Amy is devoted to looking after them all – until one day she decides that there must be more to life than cooking, cleaning and working part-time in the local paper shop. Before she has the chance to say “no”, her best friend pushes her into going back to college and training to be a teaching assistant. Armed with her newly-acquired “lack of knowledge” she starts work at her local school, juggling her home life with her new job trying to support children with special needs. Unexpectedly, Amy realises that she has found her vocation and is making a difference to a lot of children, who love her for it. But just as she finds that she is contented to bob along happily in her own little pond, tragedy strikes. Her beloved husband dies and Amy starts to sink. Just as she is about to disappear without a trace, her best friend talks her into going on a Mediterranean cruise and Amy learns how to swim and smile again. Hazel Carr lives in a village in West Yorkshire with her three children. 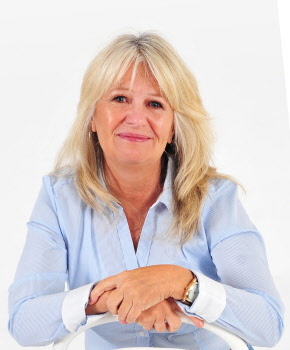 Her first book “Dancin’ Wiv Dyspraxia” sells all over the world and she has spoken on radio, been on TV and featured in local and national newspapers. Hazel has worked with special needs children for many years, which has given her the opportunity to experience the joys of school life. This book was written when Hazel was at home and off work, following the death of her husband. Hazel has written candidly about her life (yes, it is all true but the characters names have been changed), the loss of her husband and her slow journey to recovery. 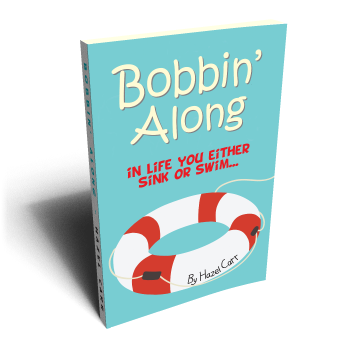 It is a humorous look at life that will make you laugh, cry and then laugh again when you realise that Hazel has learnt to be a confident, happy and single (albeit slightly mad) woman.